It is rarely done this way, but I think this approach should become more common. Think about this logically…If you are a business owner and wish to hire a new employee you will most likely conduct an interview, won’t you? You will prepare a job description, solicit applications and then evaluate the qualifications of each candidate before making your final determination. 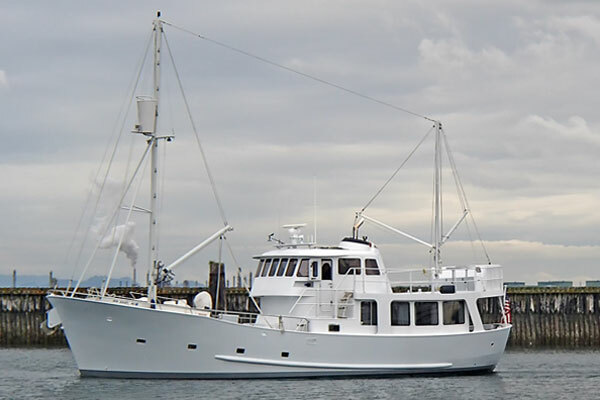 Purchasing a trawler is a major commitment of time and money – probably right up there with buying a house and sending your kids off to college. Shouldn’t you have a game plan/strategy for how you are going to approach this rather than randomly bouncing around from website to boat show trying to figure it all out on your own? This may come across as self serving and sound like propaganda from the YBAA, but having a professional yacht broker looking out for your best interests is the best money you will ever save. Remember you, the buyer, not only pay the commission (which technically is built in to the asking price for the boat) but also pay all of the due diligence costs – hull surveyor, haul out, diesel mechanic and oil samples. Shouldn’t you consider whom you want to represent your interests as a buyer? There are hundreds of professional yacht brokers with years of experience who are finely trained in the mechanics of a transaction. They know how to make an offer, bank a good faith deposit, attend a survey, complete the closing statements and distribute the funds…but is that enough? Ask your professional yacht broker to outline exactly what they are going to do for you. Will they help you find a banker to see what type of loan you can qualify for? What about legal issues, does your broker know someone familiar with the maritime laws in the location of the trawler you are interested in buying? Do they know an attorney who can advise on best way to take title, tax issues, etc.? Do they have recommendations for service people to attend to work projects that come up during survey? Can they advise on slip locations and/or delivery captains to help you get your trawler home? Once the dust settles and the deal has closed, what will your broker do for you? Will your broker be personally involved in training you on systems operations and explaining the navigation equipment? What about boat handling like coming back to the dock or setting the anchor? Will your professional yacht broker handle this training or hire a captain you’ve never met to show you the ropes? Can they provide tips on cleaning routines and maintenance products? Do they have the knowledge to help you source spare parts and provide special tool recommendations? What hands on experience does your broker have on trawlers in general and on the particular model you are interested in specifically? Just as you should develop a “wish list” spread sheet for the features and equipment you want to see in your trawler you should seriously consider a similar list to help you find a broker who will provide you the type of experience you deserve – both in the actual experience of purchasing a trawler and in enjoying it after you have completed the sale. *Some insurance providers will not approve you to operate your boat until after you have been checked out by a licensed captain and show your proficiency in systems management, navigation and good boat handling skills.